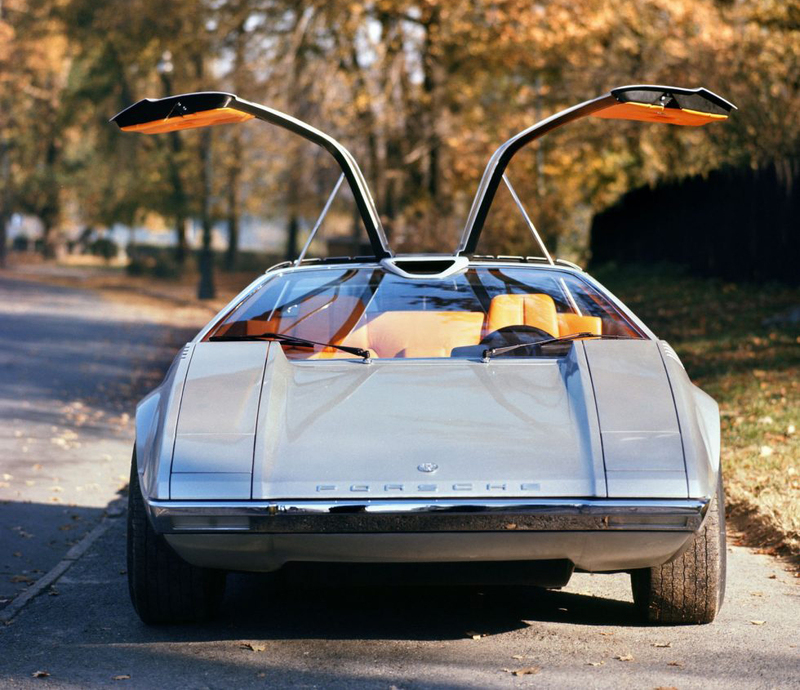 In 1970 the dream car for Turin Motor Show is intentionally extreme in shapes and technical solutions, but anyway thought for mass- production. The starting point is the Volkswagen Porsche 914/16, but between this prototype and the production version there isn’t the slightest similarity. The formal trend refers to de Tomaso Mangusta more than the Iguana, presented a year before. Softness and litheness give way to abrupt lines, straight radii and pronounced corners. The wedge is used here for the first time, and it will be used again in many other cars in years to come. Doors and hoods are very exotic and considered fancy solutions for the time like seagull wing opening door for passengers and engine. This solution imposed the design of a “cross” steel central structure that carries longitudinally the hinges of doors and hoods, while transversally becomes a roll-bar. Lights, foldaway, are protected by a square overhang. Volkswagen Porsche Tapiro was bought by a private collector, but faced a cruel fate: in the 80’s this prototype, a unique, was found completely burned after a car accident.